Normally we don’t eat too much beef but sometimes you’ve gotta make everyone happy! 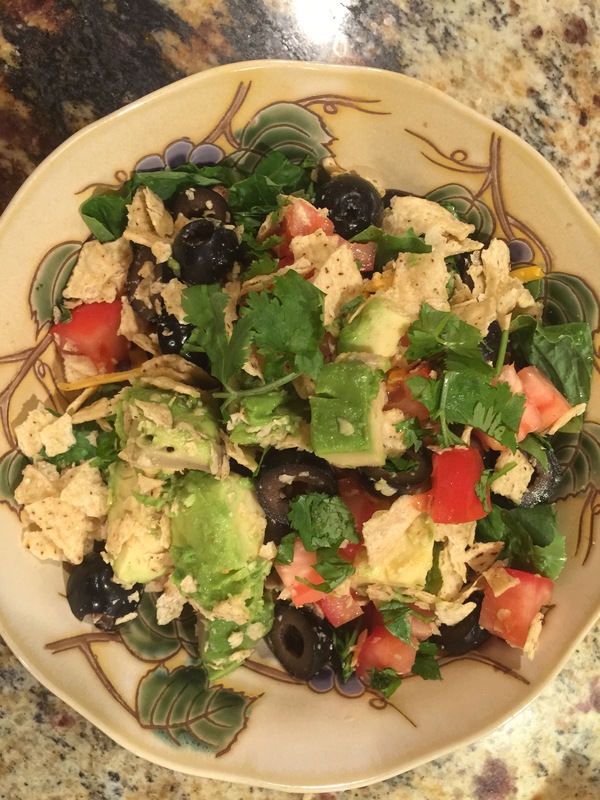 So if you don’t want beef…grab the Free-Range Organic Chicken or omit meat of any sort and load up on veggies and beans!! 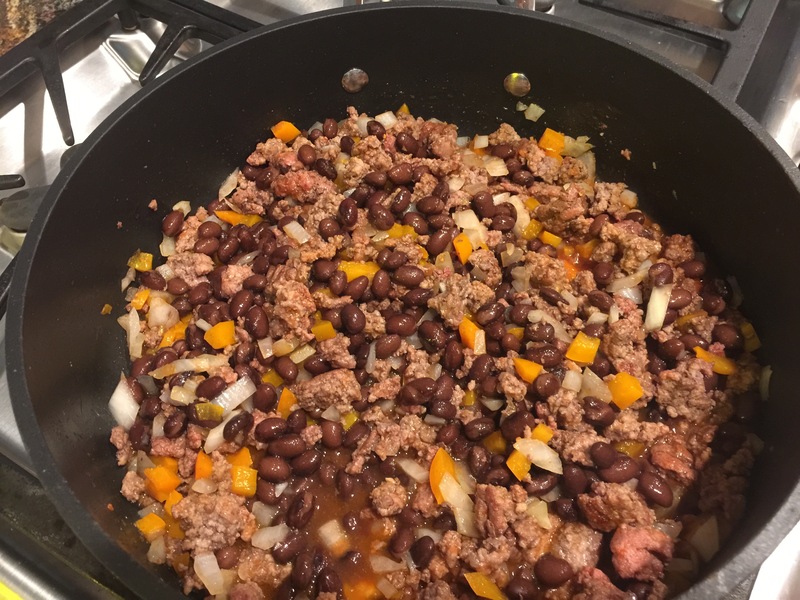 Brown the meat (or whatever you are using), add chopped onions…chopped peppers…black beans…and add a little salsa, whatever salsa you have! 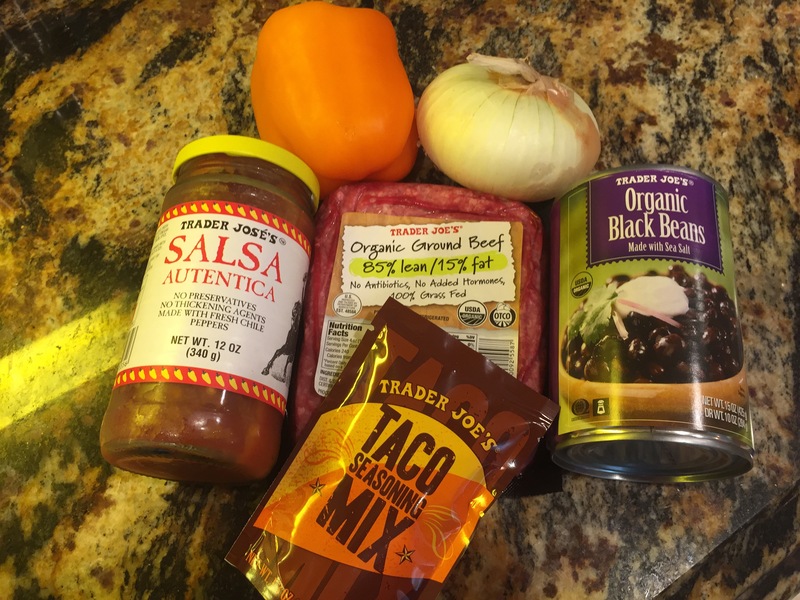 These taco spices are super hot…so if you are sensitive don’t add too much! 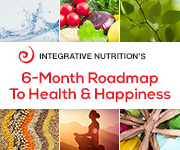 Let this simmer until you are ready to eat! 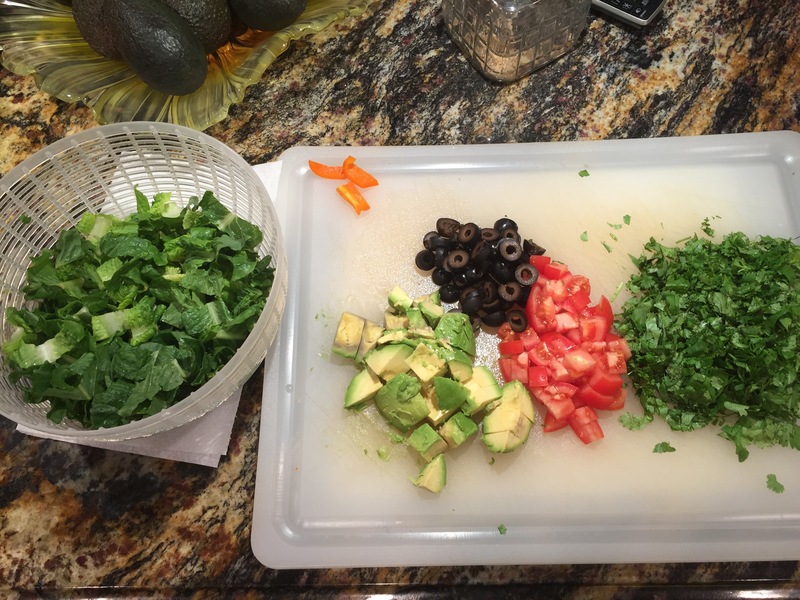 Wash the lettuce, and cut up some tomatoes, cilantro, avocado, olives…etc…. Grab your bowl and Throw it Together! Top with a little cheese and crunched tortilla chips, if you’d like, and dressing or more salsa of your choice!